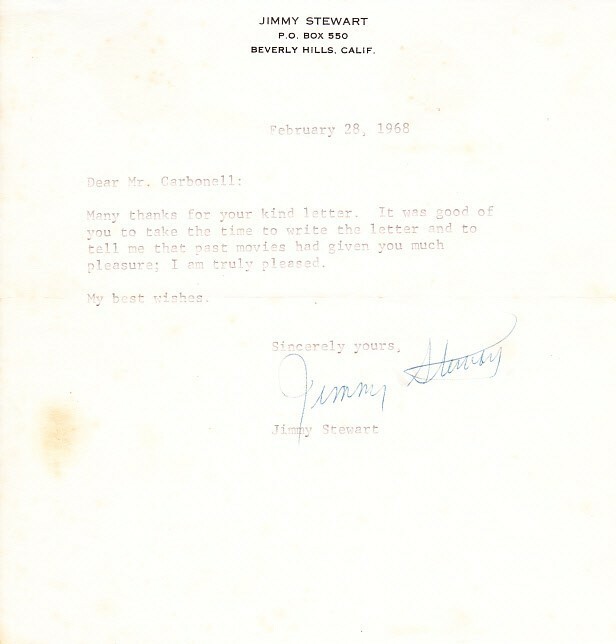 Roughly 6 by 6 inch personal thank you note addressed to a fan, dated February 28, 1968 and typed on Jimmy Stewart's personal stationery. Signed by Stewart's secretary, not by Stewart (will NOT come with certificate of authenticity). Folded once horizontally above the Sincerely yours and has typical yellowing for its age.